1. Stainless steel pipes (Japan standard, American standard, European standard ) . 3. Stainless Steel O.D. tube fittings. Polished & unpolished. 1. 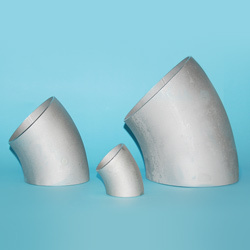 Specification: ASTM A403, ANSI B16.9 & B16.28 JIS B2312, JIS B2313. 2. Material: type 304/304L , 316 / 316L ,310/310S , 317/317L. 3. Thickness: 5S / 10S / 20S / 40S / 80S. 4. NP size: up to 6".